This blog has its roots dated ten years back, sole purpose of it was to share translations mainly of Gujarati Book Sai Sarovar. To me was given task of being a post man. As Hemadpant says, He was not qualified to write Shri Sai Satcharitra, i wasn't as well to present any translation that too of a vast book which can rightly be called and acclaimed as "Granth". I did translation and share articles from other reference books written by prominent authors who were picked by Lord Sai Baba. I was chosen to be a medium wherein i was supposed to read books, translate, narrate stories in my writing flow and share through blog. Thus i feel myself to be called as post man who delivers messages and wasn't enough qualified to write about Lord Sai Baba. Well i take it is as an opportunity and i am blessed to have been chosen as Lord Baba's Post Man. A person from accounts background, introvert by nature, having difficulty in expressing, carrying stray thoughts - mostly unanswered questions, was picked by Lord Baba for such pious work. Isn't it strange? Moving in that direction He was the One Who cultivated habit of reading, injected zest to share with all, developed instinct to translate/narrate stories thereby increasing my curiosity to read, share, translate, more and more. This landed me to my mentor (who also taught me blogging voluntarily) who arranged to get me photocopy of Sai Sarovar book. However size and volume of Sai Sarovar made me go nuts as i thought this is not my cup of tea in its first instance. 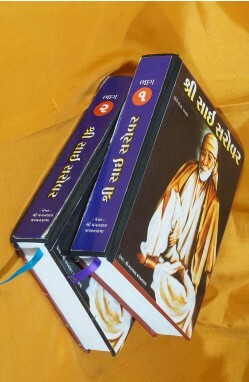 I was working then and it was extremely time consuming to get into appropriate stories and translate on second stage, let me tell you, Sai Sarovar contains detailed stories of various other saints that lived in same era and runs down to 1500+ pages. Lord Baba was working from both extremes, inside and outside. I really used to enjoy reading, translating, sharing those stories, many of them lodged in my heart as well. Days passed, i was then loaded with many books by Lord Baba through His chosen ones, many other chosen ones were around me to give ideas what to publish next and what can be its essence. So gradually translations decreased and soon after my marriage, translations ended due to lack of time and continuity. The ready made material was enough for me to get into hassle of translation. I knew i was getting off-beat, but i was sure i was serving Lord Baba in best way i could. However i wasn't sure if it was my lazy self's conclusion or Lord Baba wish. Now see what Lord Baba does after a year and half. 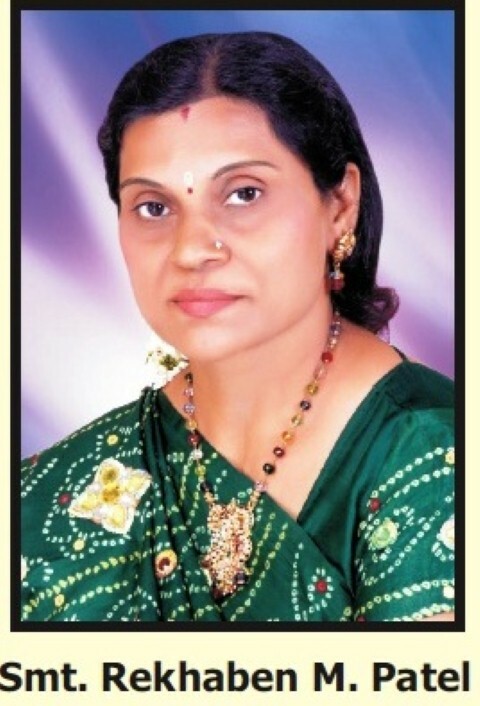 Our WhatsApp coordinator, Pooja, dropped me text about book Sai Sarovar and told that she talked with Rekha ji. I wasn't surprised as i knew Rekha ji was into process of popularizing book with in and out her limits, so that it is available to many. I shared whole 'threatening to sue' episode to Pooja. She volunteered to talk to her about 'written' permission to translate excerpts from book so that we can still serve Lord Baba but in a legal and professional way. I agreed as somewhere even i was wanting that. The time when i had to leave translations, was a peak time where i was alone to handle things - blog (professional life) and personal life. It was difficult to balance both and my side lowered to my family responsibilities, it's even the same now. But what has changed is that Lord Baba has made this blog and other ones a "Network" and we have nearly 15 ladies taking care of it. So now i am kinda less burdened apart from decision making and guiding everyone. So a bit of translation in my schedule could fit. As in my son also have full day school, it sounded pretty much comfortable as well. The balance that i wanted was already been created. The eagerness in me to get things started, soon ended (rather paused) as conversation did not last long and nothing came out of it. Rekha ji was anxious about her website being developed and up, while we were thinking to go ahead in much more professional way, slowly, steadily and cautiously. Soon after festive season came and it occupied me and my mind over thought of translation. Lord Baba didn't want this festive vibe to go as He put up burden to initiate conversation on Rekha ji and last week on November 28, 2018, i received call from her. She expressed her desire to meet me as she was in Baroda - my time, my place wasn't any issue for her. She accepted my request to have meeting at my mum's place - definitely it has those roots - and it was comfortable discussion of my intentions behind translating excerpts of book. She seemed happy with channel, that the translation would be going through and sensed that it will help in publicizing book in an expected manner. With all such discussions and few sports of this loving God, she was happy to extend her Permission to translate excerpts from Sai Sarovar book. So dear all, thoughts, efforts, actions got shape in strange way with all twists and turns but i am happy that all ended well. So with this introductory post, i am all set to out forth excerpts of Sai Sarovar book. The feast will be soon served on our ShirdiSaiBabaStories.org blog. Let's not get into the frequency of posts 🙈 but i will try to be consistent and bring out a post once in a week. When this was started, a way ten years back, i got many comments about their interest in book and also anxiousness to read such posts. Let me know if you all wish to read previous posts as well in comments, as i believe many new readers have joined us and they did not get chance to read those. The posts will be re-published on demand. While conversing with Rekha ji she shared one of the many leelas of Lord Baba which she felt while in the process of bringing back book again to the world. Her father had worked hard and he was probably the only one who did an extensive research and came up with such voluminous book in his times. Rekha ji, after her marriage was obviously involved in her family life. Her brother's family was going into calamities one after another. So he could not forward this valuable legacy. So she decided to rewrite book excluding objectionable content, working on flaws and changing language that was more acceptable to the society of today. With her husband's permission she took up difficult and challenging task. She got one boy to type hand written pages digitally. The boy was working at late hours after his regular work schedule. He had accounts of his clients with huge figures apart from 700 pages of the book in his system. One day unfortunately his system crashed and CPU was completely damaged and irreparable. There was no way to recover it. At this Rekha ji who was already frustrated and broken down with ups and downs coming in the way of getting book see light of the day again, was completely shattered and broken. This made her stop everything and shunned the idea of getting second version of book out to the world. But Lord Baba had plans to bring her back, with double energy and confidence. Somehow with efforts, after few days the system started working and the moment it started all 700 pages were seen to be recovered while there was no trace of accounts. Technically this is difficult to believe but yet it was sign for Rekha ji to start with 701th page of the book and complete all 1500+ pages. I had goosebumps all over to have heard this from her and it was an inspiration for me that whatever the thing is, i am translating stories from book while Rekha ji had put in her entire life in it. She even informed that right now book is being translated in Hindi as well. As posts would be under supervision and guidance of Rekha ji and i am sure her inputs will be helpful to us in immense way. If link doesn't work, kindly copy paste it in your browser. Please share the previous Leelas of Sai Sarovar too.Sairam. After reading a few translations... I'm almost speechless. 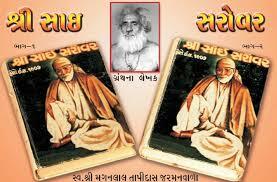 I sooooo wish to read Sai sarovar now. Even I called Rekha ji to get the book, but as told Hindi and English translations are not available, I would request you to please put more stories on the blogs, as reading these makes us feel closer to baba.